Huppah (Hebrew: חוּפָּה‎, pl. 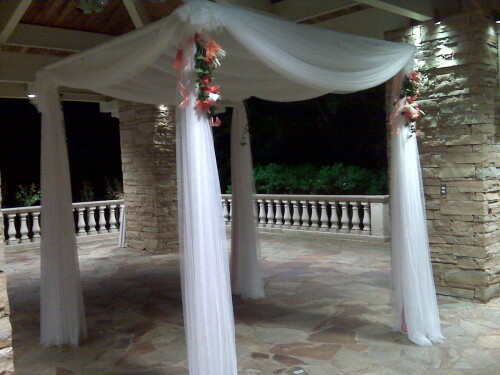 חוּפּוֹת, chuppot, literally, "canopy" or "covering") also Chuppah, Chupah, is a canopy traditionally used in Jewish weddings. Huppah (Hebrew: חוּפָּה‎, pl. 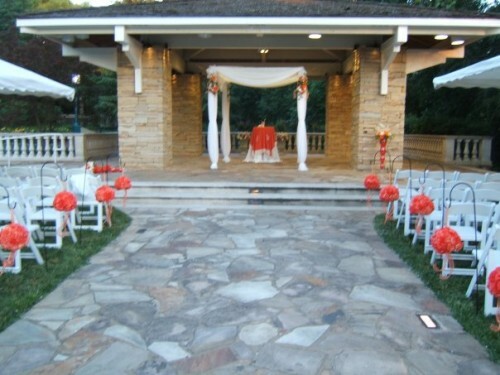 חוּפּוֹת, chuppot, literally, “canopy” or “covering”) also Chuppah, Chupah, is a canopy traditionally used in Jewish weddings.It consists of an embroidered cloth stretched or supported over four poles, and is often carried by attendants to the location where the ceremony will take place. 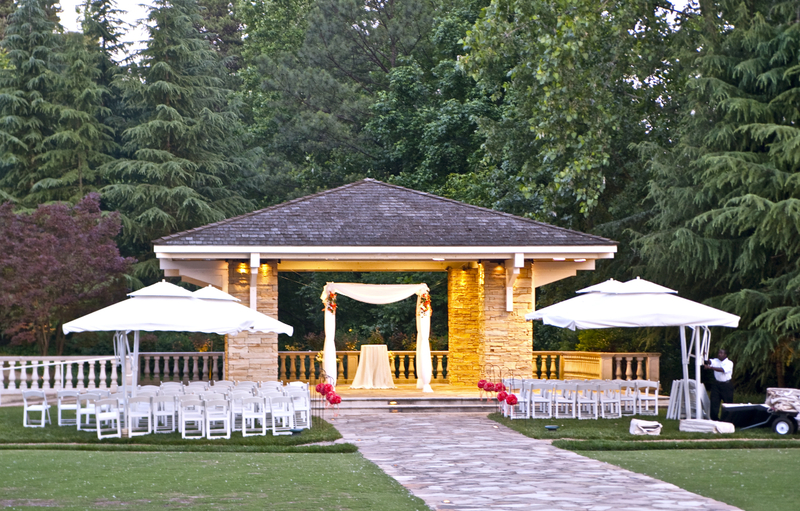 It is meant to symbolize the home which the couple will build together. 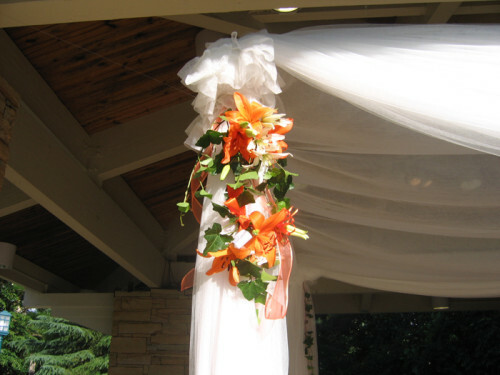 The word chuppah originally appears in the Hebrew Bible (Joel 2:16; Psalm 19:6). 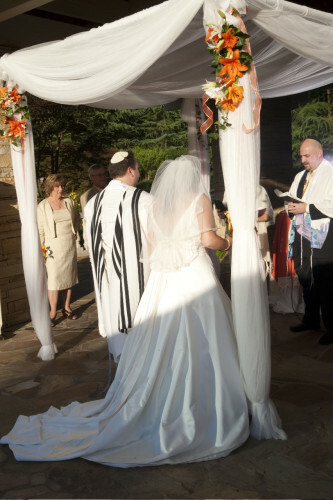 The chuppah represents a Jewish home symbolized by the cloth canopy and the four poles. Just as a chuppah or Huppah is open on all four sides, so was the tent of Abraham open for hospitality. 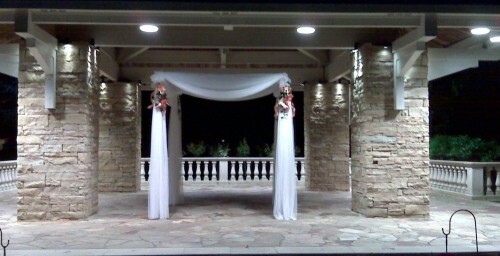 Thus, the Chuppah or Huppah represents hospitality to one’s guests. This “home” is also initially devoid of furniture as a reminder that the basis of a Jewish home is the people within it, not the possessions. 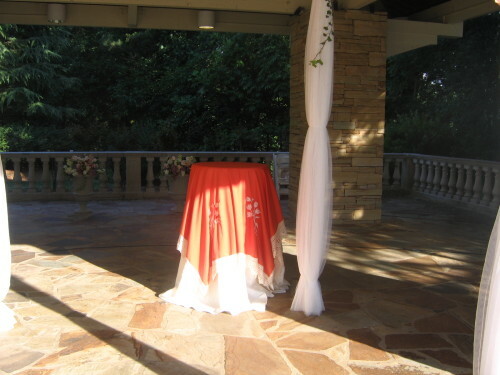 In a spiritual sense, the covering of the chuppah or Huppah represents the presence of God over the covenant of marriage.This Huppa was customized by Trendy FunParty, we created this model just for this especial traditional jewish wedding.